Early, Winter Morning at Lake Martin, St.Martin Parish, Louisiana. 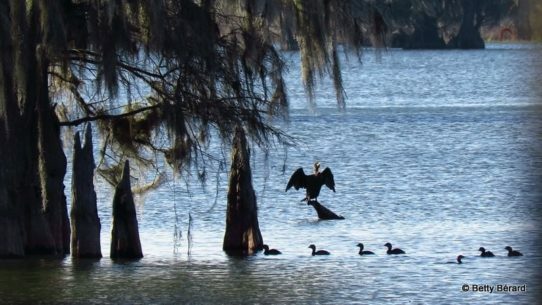 Cormorant drying his wings, while Grebes Fish among the Cypress Knees. Camera: Canon Powershot SX60.